TUCSON, Arizona — The White Ohana LLC. an affiliate of Finisterra Corporation of Costa Mesa, CA purchased the 32,391-square-foot building at 3951 E. Columbia St. in Tucson for $3.65 million ($113 PSF). The property was built in 1994 in the Alvernon Rail Center on 4.26-acres, located southeast of Ajo and Alvernon Way off Contractors Way. Additional addresses include 4058-4151 S Contractors Way. 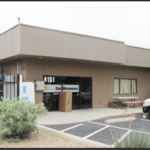 The property is a single tenant industrial building that sold fully occupied by Sun Mechanical, the largest mechanical contractor in Southern Arizona, as tenant. 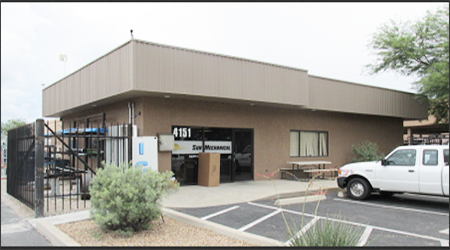 Established in 1977, Sun Mechanical Contracting, Inc. is an Arizona-based full service mechanical contracting and construction firm with offices/plant facilities in Tucson and Phoenix. Sun employs over 250 skilled tradesmen in the field, serving such clients as Texas Instruments, Motorola, Intel, Symantec, Sanofi Aventis, Tucson Medical Center, Northwest Medical Center, Miraval, Tucson Unified School District, Pima Community College, Pascua Yaqui Nation, Tohono O’odham Nation, Tucson Sector Border Patrol, and Ft. Huachuca. Rob Glaser, SIOR, CCIM Industrial Specialist with Cushman & Wakefield | PICOR, represented the seller, John and Beverly Cadrian of Tucson while Ted Liles with Cresa Global, Inc. of Phoenix, represented the buyer. For additional information, Glaser should be reached at 520.546.2707 and Liles can be contacted at 602.648.7344. To learn more, login and see RED Comp #5669.